For 17 years, Jill has lived and breathed OPI. Traveling the globe to create unique destination inspired nail colors is one of the perks of her job! 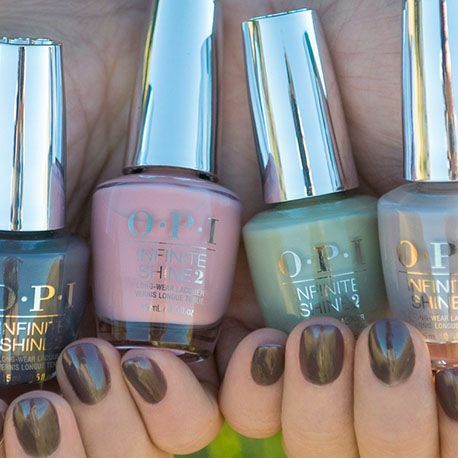 At OPI, we all have a love for travel and food. Since 1991, Suzi Weiss-Fischmann and her team have been traveling the globe to create our unique destination-inspired nail color collections – it’s part of our brand DNA! For 17 years that I’ve been with the company, I’ve been lucky enough to be part of the team that helps develop these collections. We have visited hundreds of cities and countries throughout the world for inspiration. Seeing beautiful landscapes is incredible, but I especially love trying delicious cuisines and experiencing a new culture through food in those destinations. It’s one of the many perks of the job! The process of developing a new destination collection, which we do twice a year, starts about a year and a half in advance. We research and look at trend predictors to help determine our next destination, keeping in mind the palette of colors we’re hoping to create. It’s important that the collection’s location mirrors the color trends we’re seeing as we seek inspiration for the beautiful, pigmented shades and iconic names in our travels. Our latest destination collection is Iceland. Iceland is quickly rising to the top of ‘must-see’ travel lists, thanks to its unparalleled landscapes, rich food and culture and unique, climate inspired fashion. So, it was a perfect location for color inspiration! Our first night in Iceland was spectacular. All the city lights in Reykjavik were turned off to spotlight the dazzling Northern Lights. It was in this place that our deep purple shade “Turn On the Northern Lights” was born. Our inspiration didn’t stop there! The other half of the country is filled with glaciers and ice. We traveled to Ice Beach on the last day where endless ice vistas and glaciers sparkle in the sunlight. This part of the island is so beautiful and made for an incredible experience. This was the magical spot we chose for our campaign’s hero shot. We captured so much beauty on this trip to bring the brilliance of Icelandic life directly to our consumer’s nails. There is a unique shade for everyone in this collection. Our hero shade “Less is Norse” is a perfect dark blue gray trendsetting color that looks incredible on all skin tones. This was truly a memorable and fascinating trip. I hope nail lovers everywhere enjoy a small piece of this beautiful Nordic island nation, with whatever shade they choose!